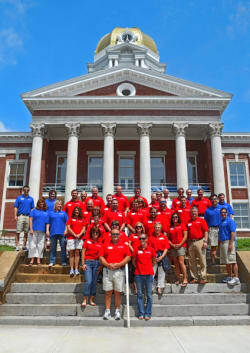 The mission of Leadership Bartow is to build a broad-based network of community leaders who enhance their leadership abilities and skills through continuing education, shared perspectives, and community involvement to work towards enriching the quality of life and shaping the future of Bartow County. This 9-month program focuses on developing a diverse pool of leaders for Bartow County, while providing opportunities for team-building, mentorship, personal development, and community involvement. Leadership Bartow requires a strong commitment and dedication to the program. The program consists of a two (2) day overnight retreat in August followed by one (1) full day each month, ending with a joint graduation ceremony with the Youth Leadership Program in May. Program cost is $875. Partial scholarships may be available. Cami James Advocates for Bartow's Children Emma Paige Akin & Tate, P.C.